You hear so many times in all sports but especially in baseball “Control what you can control”. When you are watching the elite players in any sport, why do they look like they are never under stress or the moment is never too big for them? How do they do it? All the talk leading into the National Championship game was, “How will Trevor Lawrence handle this stage?” If you had the chance to see the game or even the highlights you could tell who was in control and who allowed the game to speed up on them. How was he able to play with control and poise at such a young age. As long as I have been in this game the one thing I know and understand is that the game, regardless of what sport, does not know how old someone is. Yes experience helps but it is not the deciding factor. We would all love to have the ability to slow the game down and play when the ball looks like a basketball coming at you or the hoop is bigger then ever when you are shooting. We may have experienced that one time in our lives and it is the best feeling you will ever have. How do elite athletes have that feeling so often? We have to understand that they are very gifted and talented at what they do. They also are most likely the hardest working and most prepared players on the team. That’s where it all starts for the best. How do they prepare? How do you prepare? Sports in general all have their little quirks but baseball probably has the most. We do have a lot of down time before and during games. It gives our minds a chance to wander and think about the good things, but also the bad things. The best players have the shortest memory, they have the ability to control the things they can control. The reason they are able to do that is because they have a belief! They have confidence in their ability! They have a process! They have a routine that they are accustomed to doing before each practice or game. We think that baseball players live by superstitions and have to do all these crazy things before they can do anything on the field. 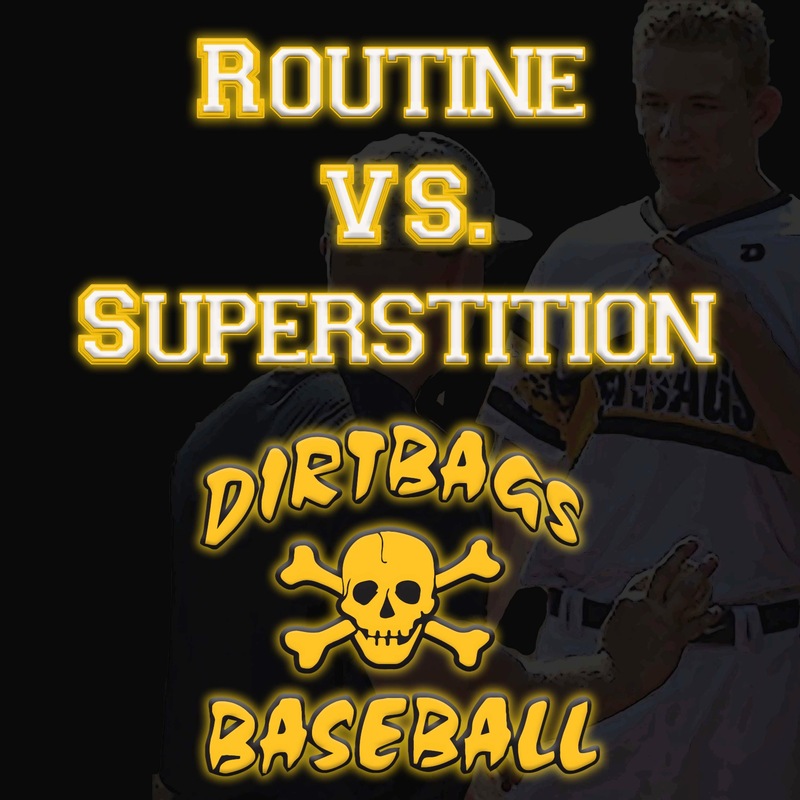 The difference between having a routine and a superstition is that a routine is something that is always going to be there regardless of the situation. It is not eating chicken before every game because you got two hits the last game after you had the same meal. Superstitions do not last! A routine is something that you use as part of your preparation for a game or practice. It is something that is always able to be done. You may have to change it some but you know and understand that it is concrete. There is a great ESPN E60 story on Evan Longoria. He has been working on the mental game since he started in college. Part of his routine before he got in the box was to take a deep breath and look at the left field foul pole. The reason he did that was because it would clear his mind and get him focused on the present moment and the at-bat he was about to have. He was not focused on the last at-bat or an error in the field two innings before. You have to be able to release the past and get focused on the present. Having a routine allows you to have a process and ability to always be in the present moment. Develop your own pregame, practice and gameday routine. Definitions- Which one do you use!